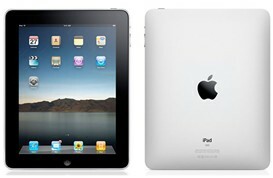 Register to win a FREE iPad! Contact us today to book Defy Photography for your wedding! All new brides in 2013 could enter to win with a booking of their wedding. Each bride must book a minimum of a 5-hour wedding package and pay a non-refundable wedding deposit of $200.00. Chances are as good as 1 in 6 to win! Click here for rules and regulations! Are you a past client of Defy’s? You can enter too! Refer 2 new brides to Defy and your name will be entered in the drawing. Click here for rules and regulations! Terms and Conditions may apply. This entry was posted in Promotions, Wedding by Meredith Ann. Bookmark the permalink.